The Volkswagen Group is said to be in talks with Ford Motors in the US of A to negotiate a production deal; it will involve VW cars being assembled in those Ford factories that currently have spare capacity. Ford has already announced that it is getting out of the sedan manufacturing business little by little; thus, it will have some very large factories in the USA that will be without a model to make. Couple this with the Trump Administration’s pressure for foreign vehicles to be manufactured in the USA and you may well have a marriage made in heaven between VW and Ford. 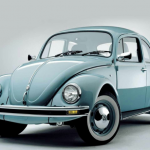 How the VW Beetle got its curves. There already has been an announcement from Ford saying that it had a Memorandum of Understanding with the VW Group that covers conversations concerning a close collaboration across a number of different topics, although no detail of which areas was shared. 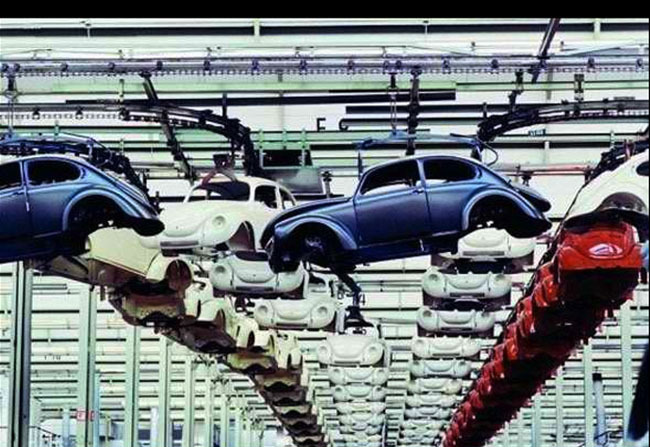 VW was a little more forthcoming, saying that it was, in fact, considering building a new plant, possibly in Chattanooga, Tennessee near its existing factory, in which it will make a variety of VW and Audi vehicles. The rumoured collaboration between the two is understood to involve capacity at Ford’s HQ in Dearborn, Michigan which is pretty much the beating heart of American auto-making. It was here that many of the sedans that Ford is so famous for were produced: names like the Fusion, Fiesta and Taurus, all of which are seemingly destined for the scrap heap pretty soon. Ford and VW have been in talks about a global alliance, but until now there has been no leak letting us know just how such an alliance could possibly work. Once we find out, we will surely let you know.